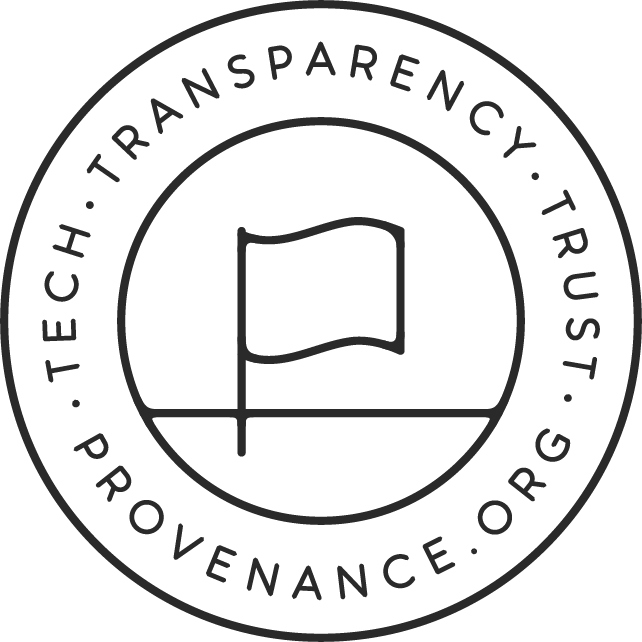 Provenance is a software platform helping businesses bring transparency and traceability to their products. Our digital tools showcase the journey of people, places and materials behind any physical thing from fish to fashion items. Provenance was started by Jessi Baker alongside her PhD in Computer Science. Jessi met Ian Kynnersley in 2014 and they started working together on a software platform. Jutta Steiner from Ethereum – a key advisor – helped develop the blockchain side, and collectively, they lead the industry in blockchain-based traceability. From a personal frustration for how little we know about the products we buy. Provenance provides businesses the tools they need to bring stories from the supply chain to the point of sale, giving shoppers assurance about where products come from. We have just completed a project supported by Humanity United, working with the Pole and Line Foundation on fish traceability. We tracked tuna from Indonesia on an open registry called a blockchain that underlies our platform. We are about to start a project with a large UK supermarket – watch this space. It’s been great to have the support of the ODINE team as we set about further developing our technology. We are excited to expand our work to more European supply chains with their help. Make sure you have a clear idea of where you are trying to get to, and have a roadmap that takes you to sustainability and beyond. Being open can be counter-intuitive to large companies – particularly when it comes to supply chains which are traditionally a closed, guarded secret. But just as we have seen with the open source software movement, opening data can save huge amounts of money for companies by facilitating collaboration. For us, blockchain technology is the hottest trend at the moment. Blockchain can revolutionise the trustworthiness and accessibility of open data, as we have described in our white paper.